Although German Chamomile Essential Oil possesses numerous beneficial actions (see the section below), I first think of German Chamomile oil as a powerful anti-inflammatory for use in topical applications. German Chamomile Essential Oil is a deep, dark blue hue due to the presence of the sesquiterpene chamazulene. During steam distillation of the essential oil, the natural matricin that is present in German Chamomile reacts to form the chamazulene that we find in the oil. As with Yarrow or Blue Tansy Essential Oil, the hue can sometimes be a deterrent when working with the oil. For example, I make and take my own blends when I travel. To minimize discoloration to clothing if it leaks in my luggage, I tend to leave out the German Chamomile Essential Oil from my anti-inflammatory travel blend and instead substitute Roman Chamomile Oil. For room sprays and body mists where essential oil color can again be a consideration, I use Roman Chamomile Oil. I prefer to use German Chamomile strictly for direct topical applications (i.e. wound care, inflamed skin, etc.). German Chamomile Essential Oil tends to be comprised of 60-70% Sesquiterpenes and 10-15% Oxides. Roman Chamomile Oil, on the other hand, is comprised of approximately 75% Esters and 10% Monoterpenols. Their natural chemistry is rather different, however, many of their general applications are similar. Aromatically, most individuals prefer Roman Chamomile Essential Oil. However, German Chamomile does possess a beautiful and somewhat similar sweet, herbal-chamomile aroma that shouldn't be overlooked. For emotional applications, Roman Chamomile is often the one to choose. For skin care and occasions in which a strong anti-inflammatory oil is beneficial, the German Chamomile is the better choice. 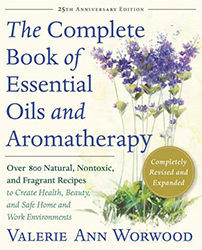 Source: Julia Lawless, The Encyclopedia of Essential Oils (Updated Edition) (London: Harper Thorsons, 2014), 69-70.